What is actually making these days so enjoyable? What am I actually doing that leads to me having such a good time? Designing a life you love requires a lot of self awareness; without knowing yourself really well – and knowing the ins and outs of how you love to spend your time (and how you don’t) – it’s hard to know how to design a life around those preferences. So many of my clients don’t quite know what kinds of activities turn them on. So, rather than intentionally designing a life they love, they end up operating on autopilot – doing the things that everyone around them is doing, doing whatever is put right in front of them, or doing things the way they “always have”. As a result, they often end up feeling unfulfilled, anxious, like “something is missing”, or discontent in some way. As we near the end of 2018, I’d love to help you start to think more about DESIGNING your 2019 with intention, really being deliberate about spending time on what you enjoy. I am not a big drinker or partier. I never have been, but lately, I feel less and less interested (and frankly, my body just can’t handle it as well). But of course, our culture is one in which everyone likes to drink and go out. While neither Ryan or I are huge drinkers, we still find ourselves in these situations a lot (and Ryan is definitely more into it than I am). For the holidays, we decided that we’re going to have a few friends over for a holiday brunch instead of hosting an evening holiday party. This way, we can celebrate with good food (my passion), coffee, and a festive drink or two in a more relaxed, daytime setting. I would much prefer this than another evening of drinking, so I suggested it, planned it, and made it happen. When meeting up with friends, I hardly ever suggest getting a drink anymore. Instead, I invite them to a workout class, coffee, a walk or breakfast / brunch. I cut back wherever I can. Last weekend, when meeting up with Ryan’s college friend at a brewery, I went along to hangout and chat, but just sat there with my water bottle and opted not to drink (I’ve learned that nobody cares!). Similarly, on Saturday night when we were out, I stuck to a few vodka sodas instead of the (free) wine we were being given, and we left on the earlier side after a few hours of dancing in order to get a good night sleep. Taking more ownership over my own preferences and making these small tweaks has helped me enjoy my days and my weeks more and more. Another realization I’ve had this year is that while I enjoy trying new restaurants and eating out, I actually am starting to enjoy cooking at home much more often. So, we’ve started inviting people over for dinners and brunches instead of suggesting we meet them out. A couple of weekends ago, we had people over for a taco dinner party instead of going out for a meal. We make it fun, it saves us a bunch of money, and it’s way healthier, too. We will always enjoy eating out, but adding in more home cooked meals with friends has felt so fun and nourishing on so many levels! The first step here was for me to pay enough attention to myself to recognize what I was liking and not liking. This takes awareness and reflection, but it’s also not rocket science! Your body, your emotions, and your energy are always whispering to you, telling you what’s in alignment for you at this current time and what’s not. Your soul is always nudging you in one direction or another. Pay attention to when your energy is highest, when you feel lit up and excited, and when your body feels light and free. Similarly, pay attention to what drains you. What activities make you feel heavy or depleted, or what you plain old just don’t enjoy. What makes you feel this way? Remember, too, that we are always changing. The things that I used to LOVE in NYC just a year ago are not necessarily what I love today. I am always, always paying attention to my preferences and how I am evolving and changing. I thought I’d make a little list of what I’m learning that I love these days and where I want to be spending more and more time. And I’d love to see you do the same (journaling prompts at the bottom). This is such a great time to reflect as we close up the year. My little baby morning routine: each day, I wake up, pee, drink a glass of water, light a candle next to my bed, and journal to God / The Universe / my intuition for about 5 minutes before speaking a single word to anyone else or turning on my phone. This simple routine feels so good to me right now. Engaging with my community at my nutrition school: it feels so nice to have people who are on a similar path and who value health as much as I do. I’m leaning in more and more to this community because it just keeps feeling so good. 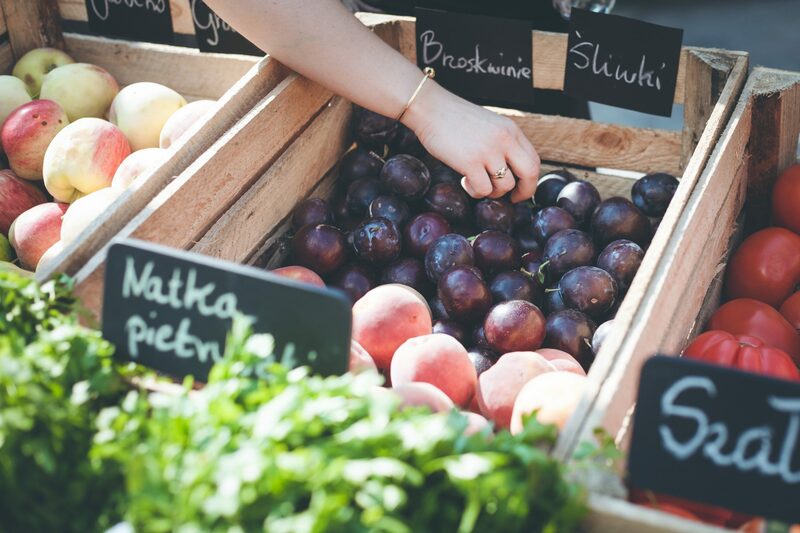 Creating time to go to farmers markets: when we first moved here, I hardly ever went and I really missed it. Now, I specifically create time to go because I know it’s important to me. I also want to mention that designing your life to be more fulfilling for you doesn’t necessarily mean an overhaul. If you notice, all of the changes I’ve been making have been “tweaks”, but a lot of little tweaks can add up to a big difference in how you’re experiencing your life. Name three activities that you know bring you joy and fulfillment. Are you happy with how often you’re doing these activities? If not, what needs to happen to allow you to do them more often? What is one thing you’re currently doing that, deep down, you know isn’t really in alignment for you? What are some creative ways you can start doing this less? I’ll also be doing a WHOLE workshop on this in January (called Year In Review), but I wanted to get your wheels spinning this week, too. In the comments below, let me know your reflections! I can’t wait to support you in designing a 2019 that feels SO good for you.